officials from all fifty states in a complaint charging the Cancer Fund of America, Cancer Support Services, Inc., Children’s Cancer Fund of America, Inc., and The Breast Cancer Society, Inc. and several of its officers and operators with bilking millions from consumers. The defendants told donors their money would help cancer patients, including children and women suffering from breast cancer, but the overwhelming majority of donations benefitted only the perpetrators, their families,friends, and fundraisers. Anyone who has questions about a charity can check the website of the Charitable Trusts Unit at http://www.doj.nh.gov/charitable-trusts/ or call 271-3591. 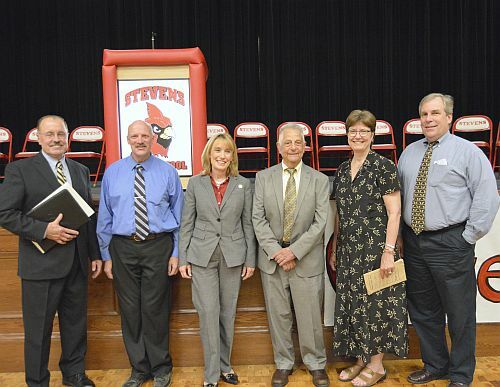 Governor Maggie Hassan proclaimed May 19, 2015 Stevens High School Renovations Completion Day yesterday. The Proclamation recognized the citizens of Claremont for their dedication to education in going forward with the self funded renovations despite economic challenges and the efforts of the educators and students. City Manager Guy Santagate said it was a great day for Claremont. Stevens High School was built in 1868 and was expanded in 1912 and 1963. Voters approved a $12.6 million proposal to renovate the school in 2013. 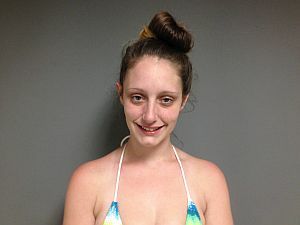 A 24-year-old Randolph woman was arrested two times on Monday for possession of heroin. VT State Police arrested Tara Brent just after 9:30 am in Randolph for 70 bags of heroin and again just after 3:30 pm by State Police in Rockingham 50 bags of heroin. Police say the second arrest came after a traffic stop for multiple violations and defective equipment. Another passenger in the car, Adelaide Iverson of Randolph had 28 bags of heroin on her person. Brent is being held at Southern State Correctional Facility on $10,000 bail and Iverson was cited to appear in court with Brent on June 16.